Royal Cyber helps you to migrate from your existing eCommerce suite to new feature-enriched Magenot eCommerce Suite without any complexities. At Royal Cyber, we endow you with risk free support plans and skillful workforce to provide you with full support and help throughout the migration phase to make it easier and, worth your time & money. With multiple successful migrations to Magento eCommerce Suite,experts at Royal Cyber will help you in reducing risks and complexities involved in migration phase. 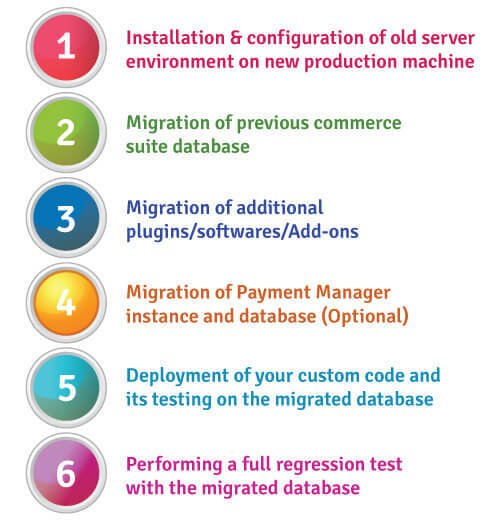 Our professionals are skilled enough to understand your requirements of customizations and improvements, and thus provides you with a divide and conquer methodology to guarantee a successful migration.